After almost five weeks of near constant travel for business, I’m back in Blighty and finally in a position to update the blog. There’s much to say. While business travel doesn’t usually offer much scope for tourism it does typically offer the opportunity to try out a few local tipples, especially with the assistance of locally-based colleagues and friends. Such was the case with my latest overseas adventure, which took me first to Canada, then on to Australia, Taiwan, Japan, mainland China and finally to Hong Kong. Which, as is my prerogative, is where I’ll start, if only to speed up the writing process and to save the best till last. As one might expect of a former British colony, Hong Kong has a liking for pubs and bars and was always likely to offer the greatest potential for interesting drinking establishments. With little opportunity or time to be overly picky, I quickly settled on the Hong Kong Brew House in the Lan Kwai Fong district of Hong Kong Island as a suitable destination for a few hours socialising, accompanied by my Hong Kong-based colleagues Tom and Becky. 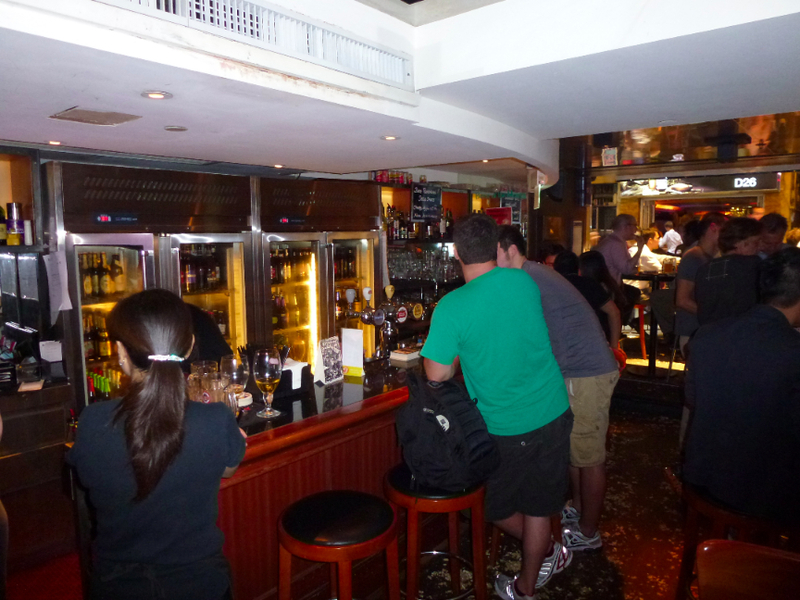 Renowned for offering Hong Kong’s best beer selection, the pub itself looked typical of the area. The low-ceilinged, low-lit but airy space offered both an indoor seating area of tables and high stools on a peanut shell-covered floor (patrons are invites to brush the shells of the copious supply of free peanuts onto the ground) and a patio area at the front opening onto the busy D’Aguilar Street. Back to the Hong Kong Brew House itself, the beer selection was indeed impressive given that I was half a world away from the major historical beer-drinking countries. The list ranged from comfortingly familiar brews for Brits such as Fuller’s London Pride on draught (albeit the 4.7% export strength keg rather than the 4.1% cask version) to other “exciting micro-imports” from the UK, Belgium, Germany and the USA. If for some reason you do fancy something more mainstream, the pub also has a selection of what it describes (largely accurately) as “boring beers” for less discerning customers. You can probably guess what qualifies for this epithet. However, in keeping with my imperative to try local brews on draught where possible I opted first for the Hong Kong Beer (4.5%) and then for the Aldrich Bay Pale Ale. The Hong Kong Beer, a helles-style German lager, came up in a huge German-style Fest glass, the lesson here being don’t ask for a large glass without reading the small print first. Still, it was a decent enough brew to bring me back for another, smaller glass, with a god hop and malt balance and enough body to make it moreish. A litre and a half later my second and final tick went to the Brew House’s Aldrich Bay Pale Ale (4.5%) in a much more sensible half-litre. Described as an IPA, the Aldrich Bay was actually a far darker, more caramel-laden affair than that description suggested. This also meant it was fairly easy drinking and quite tasty, especially after several days of good beer deprivation. Both beers are products of the Hong Kong Beer Company Limited, the Special Administrative Region’s first and currently only microbrewery, established in late 2003 in the Aberdeen district using the brewing assets of the earlier South China Brewing Company. Other products include Too Soo Premium (a 4.5% Pilsner), Hong Kong Lager (a 4.5% Vienna-style reddish lager) and Ricksaw Porter Ale (a 5% American-style porter). These were not offered at the Brew House during my visit but are available at other outlets around Hong Kong and beyond. While neither brew really excited, except that they’re available at all, they’re certainly worth checking out if you’re in town and craving something more than the light and often under-hopped golden lagers that are typical of the Asian market or the usual “premium” imports such as Heineken. Hardly an old flame. What was I thinking? Which is more than I can say for the final beer of my Asia-Pacific mini-tour. The airport hotel minibar later that evening gave me a largely guilt-free opportunity to reacquaint myself with something I’ve not tried since I was an under-aged school imbiber: that largely ill-judged attempt to create a global lager brand from a standing start, with no existing pedigree and with seemingly no intention of delivering anything even remotely drinkable, Skol. “Skol” may be an Anglicised take on the Scandinavian toast “skål” but I feel there’s a better translation: disgusting. The canned fruit flavour of this 4.8% Canada-brewed example (I doubt it makes any difference where it’s made or what its strength is) is so far from what a good beer should be that it was almost worth trying to remind myself where my interest in better beers started. Perhaps. How Skol remains the most popular beer in Brazil is beyond my understanding. 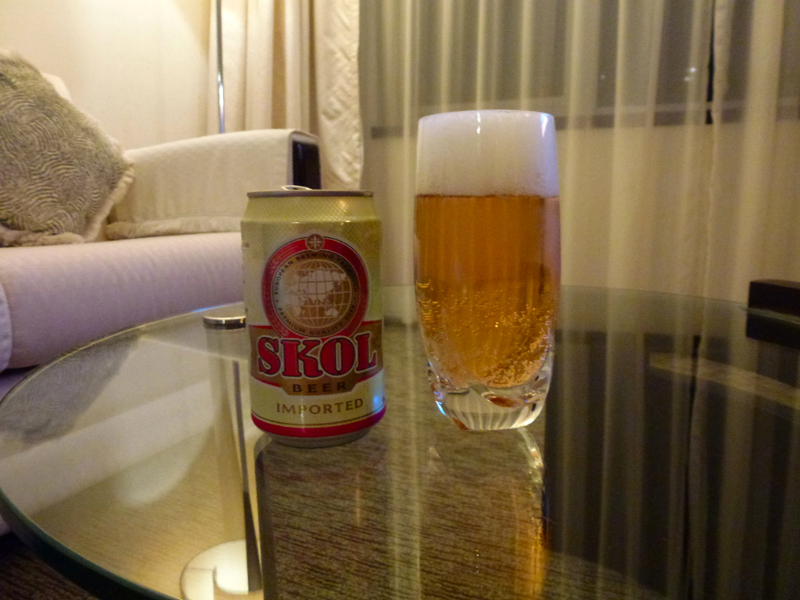 It’ll certainly be a long time before I try Skol again, if ever, but hopefully I’ll return to Hong Kong a lot sooner. With time against me on this occasion there’s undoubtedly more to discover from this pint-sized beer oasis in the South China Sea.